Some of our programs are conducted in the Sinhala language, on of the languages spoken in Sri Lanka. Everyone who comes here can speak English as well, but some people (like most of us) like to learn in their native tongue. We have many programs in English. 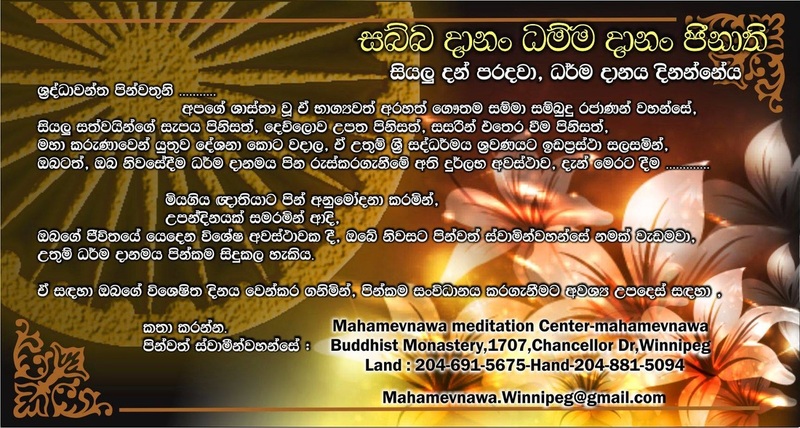 the Buddha's teachings and methods of meditation.